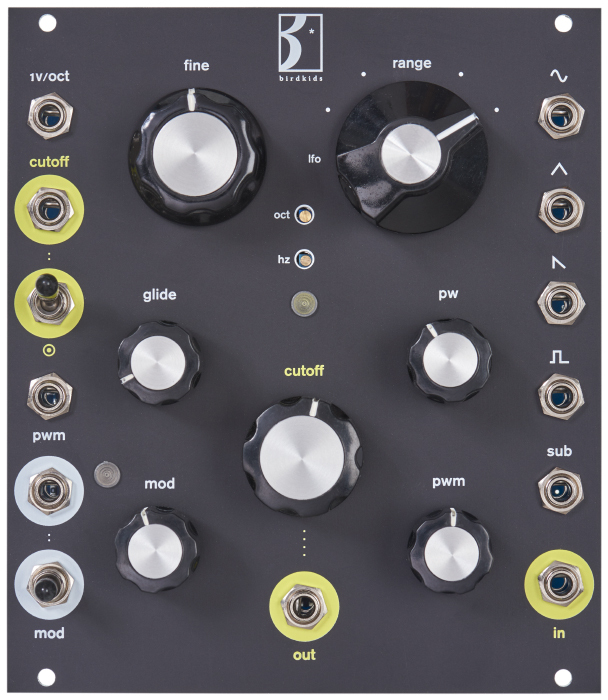 The Bateleur combines a discrete analog VCO with a discrete analog lowpass filter. 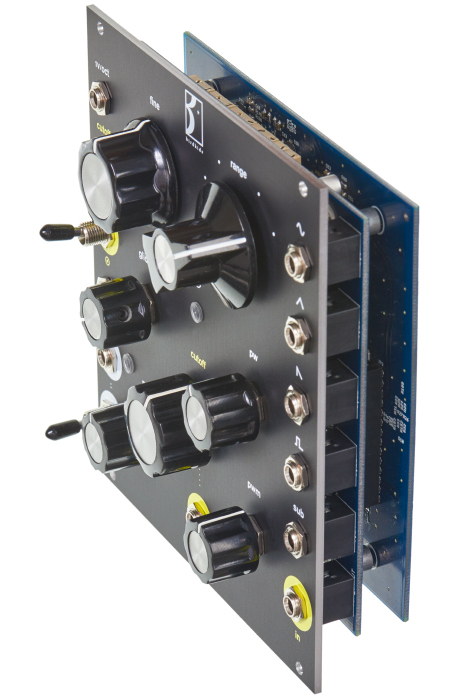 The filter can be switched to self oscillation mode, perfectly suited to act as a sine wave oscillator for modulating the Thru Zero analog VCO. VCO The VCO offers a very massive sound with a distinctive vintage flavor. It outputs the classic waveforms sine, triangle, sawtooth, pulse and an additional pulse wave that is tuned one octave below the core frequency. Two nice and big knobs take care of the coarse tune in a range of 5 octaves as well as the fine tune within +/- 7 semitones. 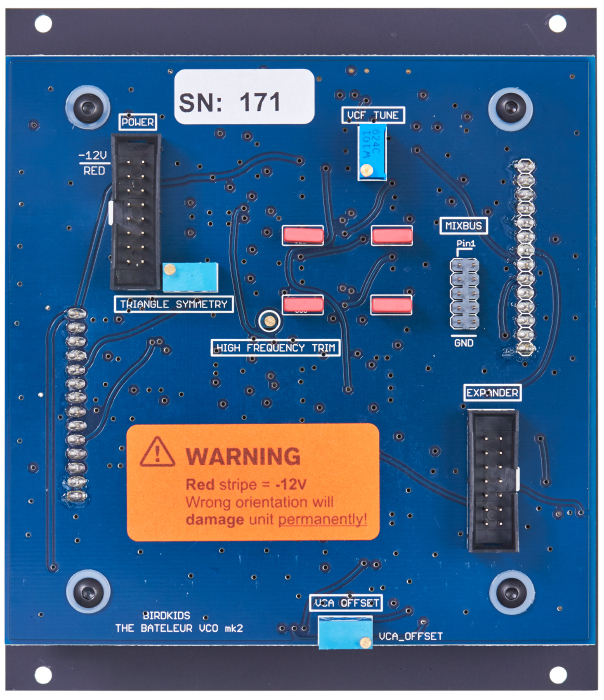 The pulse width of the pulse output offers manual control as well as PWM. Simple portamento effects can be achieved with the glide control, no need for an external slew limiter. The Bateleur VCO can either work in linear FM or Thru Zero FM mode. VCF The classic, thick sounding 24-dB lowpass filter pairs very well with the VCO. 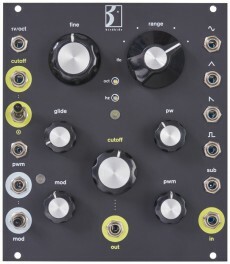 Of course it can be used as a standalone filter, but the way the inputs and outputs are arranged at The Bateleur VCO, and the fact that there is no knob to control the resonance, but instead it uses a switch which either offers no resonance or selfoscillation, hint at the strong relationship between the VCO and VCF in this module. The filter is perfectly suited to fulfill the role of a modulation oscillator in an FM scenario as well as being a waveshaper for the classic oscillator waveforms. Having the 1V/oct VCO input normalized to the cutoff CV input of the filter underlines this even more.